If you’re a security professional you have to ask yourself “Why don’t I have my own devices secured?” Well, you’re not alone. 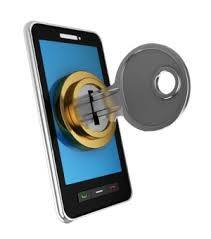 New research has found that half of security professionals don’t bother to secure data on portable devices. The findings, uncovered by an iStorage survey which questioned 500 attendees at Infosec 2014, revealed that 50 per cent of security pros don’t bother with security measures or encryption when it comes to data on USB sticks or portable hard drives. 91 per cent of respondents, though, said they were concerned about the damage that a data spillage could cause to their organisation – but evidently not concerned enough to actually go to any lengths in terms of protection, in many cases. Two-thirds were aware that a careless data breach (from, say, dropping and losing a USB stick in public) could potentially face a heavy fine of up to £500,000 delivered by the ICO. Of course, you’d hope everyone would be aware of these fines – and they were, it’s just that a third thought the maximum possible fine was less than half a million (most of those wrong about the amount believed it was £250,000). Lost portable devices are the third most prevalent cause of data breaches, according to a recent UK-wide survey iStorage pointed to. And there is, of course, no excuse for not encrypting data when it leaves the office – particularly if it’s even remotely sensitive data. According to the results of a survey which questioned 500 attendees at Infosec 2014, half of security pros run risks with data on the move.